Technology never stops bringing new, exciting and often scary surprises. It was not long ago now that many people viewed the idea of reading entire books from anything but paper as a fantasy, best confined to the realms of fiction. However, the day is upon us where it is highly possible that reading from a traditional book will eventually be a fond memory.. This might sound like odd to many avid readers out there, but the new wave of reading devices, such as Kindle products, tablets and even smartphones, offer a previously out of reach world of literary delight to many. No, printed media is far from being obsolete, but trends show that it might be likely in the not-so-distant future. 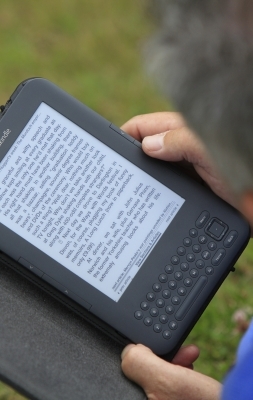 In some places in 2012, there have been more eBooks downloaded than there have been printed book purchases, such as the United Kingdom, according to Amazon.co.uk. This includes a combination of both hardcover and paperback books. eBooks are no longer considered to be just for those who are unable to have their work published in the traditional market. Three out of the 10 best selling authors for eBooks in 2012 have been published by Amazon, via Kindle Direct Publishing. This includes Katia Lief, Nick Spalding and Kerry Wilkinson. While there are many who resist change and like to believe that everything should remain as it is now, forever — others are happy about their eBooks capable devices. It seems like a bother to switch from a simple book and buy a device that needs to be maintained and have books loaded onto it. However, many people are already using smartphones and tablets that are capable of displaying ebooks. An electronic device is able to display text at a variety of sizes, fonts and with different spacing. There is no longer an issue with buying books that seem to have tiny print, or wishing that a different font choice was made by the publisher. An electronic reader can also be loaded with up to thousands of books, while still being able to fit in some pockets and most bags. If you are one who is known to carry a stack of different books around, then this is a huge advantage. Buying books from other countries can be quite annoying, after adding shipping charges and the time it takes to track the book down and wait for it to be delivered. There is also trouble for those who are not happy with the selection of books at their local book store. 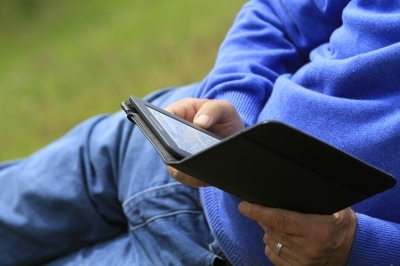 This is where buying eBooks online holds one of its greatest advantages. After a customer finds the book they want to buy, a few simple clicks will buy it, and in most cases it can automatically be sent to a device via wireless Internet or even 3G. While it cannot be denied that the rise of the eBooks and versatile tablets in popularity has been a steady and inexorable one, many people are still somewhat averse to the idea of popular E-book readers such as Kindles and the Nook as well as the newer tablets like the iPad and Nexus 7s eventually replacing our well-loved (and hefty) books. Having any of these handy devices along gives you the versatility and ease of carrying your own personal library or book store along whenever and wherever you travel. You’ll never find yourself stuck in an airport somewhere bored with nothing to do if you’ve got your eBook reader or tablet with you. Change, as always, may be disconcerting and a bit difficult to accept but is nonetheless, one of the singular constants in our lives. The eBook readers currently have a slight advantage over tablets as they were introduced earlier but the multi-faceted and multi-functional appeal of the tablets will inevitably allow these to overcome the eBook readers dominance in the market. Either of these devices would be a good investment, it eventually boils down to the users’ preferences and needs when choosing which between eBooks or a tablet to purchase. PS – I would prefer physical books IF I had the choice. Enter in my giveaway! Of course, physical books is more preferable but there are times when the book’s heavy and you have your tablet which helps you in this case. I remember buying the Kindle when it first came out. It was over $250 and I bought two of them —one for me and one for my significant other. This was before the iPad but I was so excited I read like 30 books that first year. I have an iPad and for what it’s worth, I’m reading about two or three books a year now. Hey Edward! Sounds like you were on a marathon! Buying the iPad was a bad decision then 😛 From 30 books to only two, that’s a huge decrease! Whatever maybe the case, reading on the tablet is more exciting and I am sure you loved it!